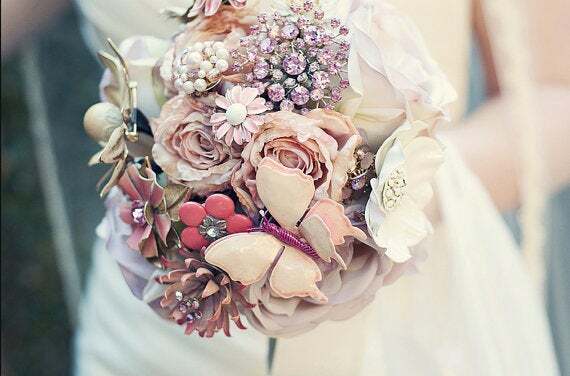 For most brides everything you do is for a reason, So why let your bouquet be any different. Here is a list of meanings for various flowers courtesy of MISSMYRVOLD. Thanks! 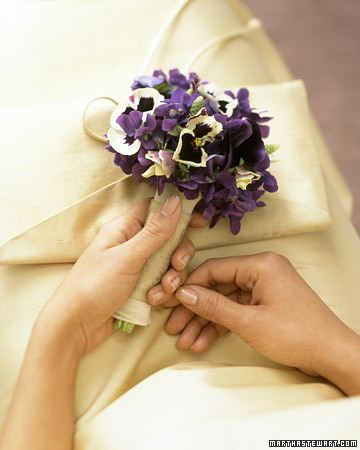 Ever thought about what the flowers in your bouquet represent? Below are a variety of bouquets decoded. So for our third entry to the Tradition vs Modern Twist series, we will discuss the bouquet. I have stumbled across the most beautiful and unique bouquets. Traditionally, a bride carries a handheld flower bouquet with her down the aisle. 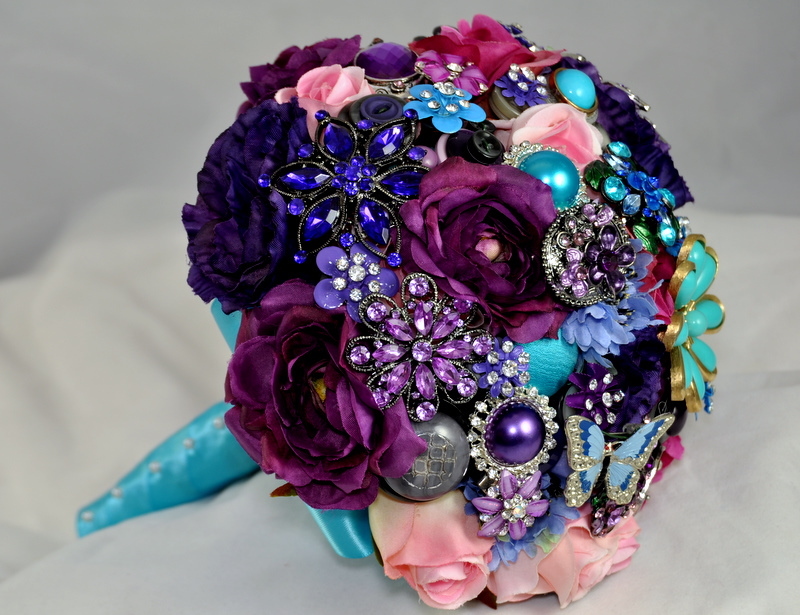 There is a variety of styles and shapes used in a traditional bouquet. Not to mention, the assortment of flowers within an arrangement. 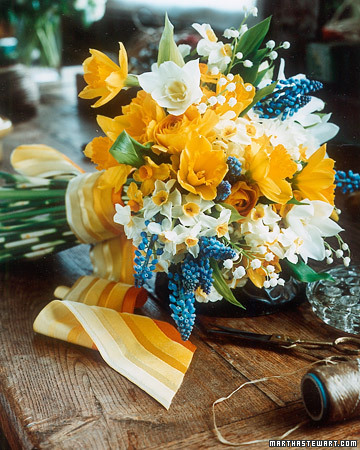 According to Huffington Post, the reason for the bouquet developed in the 15th century. During that time people only bathed once a year and a bride would bathe a month prior to her wedding so she wouldn’t smell too bad. To make sure that her groom wouldn’t run the other way once he smelled her, she would use the bouquet fragrance to cover her bodily stench. LOL, now whether the tale is true or not, I think it’s funny! 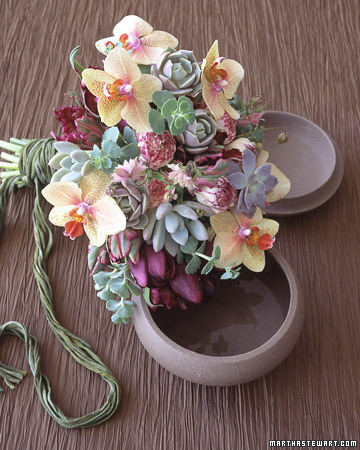 The modern twist on the bouquet focuses on style and elegance. 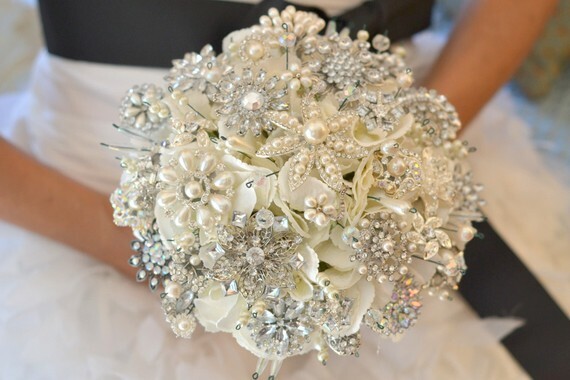 A new and upcoming trend on bouquets is to not use flowers but, rather brooches. The bouquets still reflect personal style and elegance. However, you now have the joy of looking at it for years to come. Take a look as some of the masterful pieces being held on to long after the wedding. Lace, Pearls & Glitz- do you just love it!! !